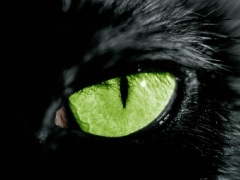 I hope you'll like this week's challenge at City Crafter - if not, you can blame me , as it was my choice and the challenge is:Creatures of the Night. Some of you may now be singing Susan Sarandon's song from the Rocky Horror Show ! But I went more Hammer Horror than Rocky Horror. I have no idea of the brand of this stamp. It's called 'Moon Dreamer' and is a big wooden stamp, one of my oldest. The bat and vampire were cut on my Silhouette. 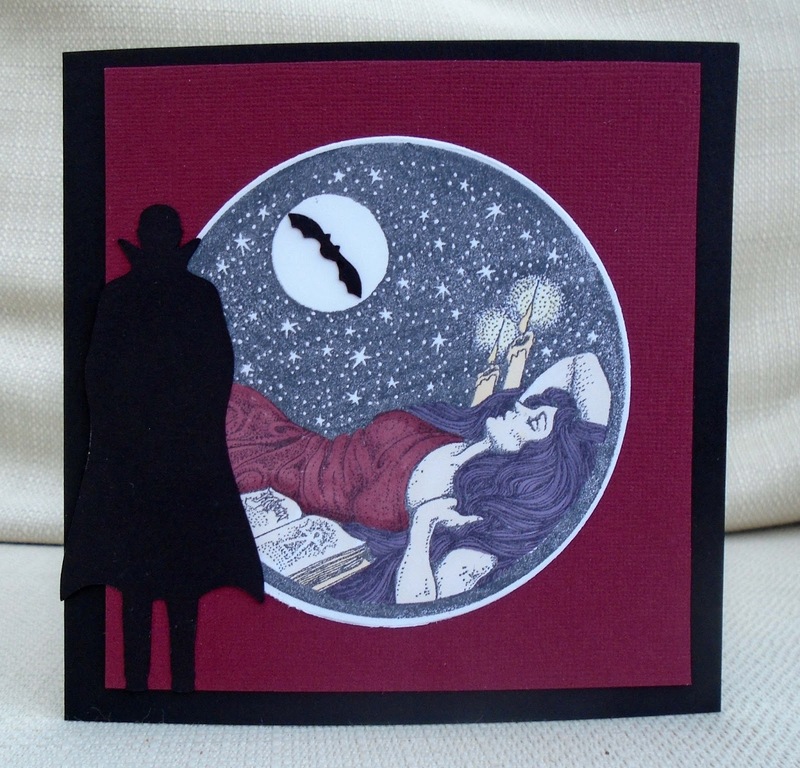 Gorgeous card, it has a very haunting quality, and I just love the colour scheme. Thank you for sharing your work with all of us at Crafty Boots Challenges. What a fabulous card Marina!! 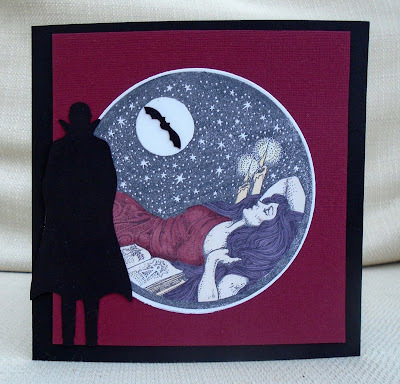 Love the colouring on your stamp and the vampire cut out is brilliant! Oh, what an awesome card, Marina! Your card is spooky and stunning. I love the contrast of black with that amazing lady. Wow! A super creation for our theme this month Marina, love that dreamy stamp, many thanks for joining us at FlonzCraft Vintage Stamping Challenges. Beautiful and spooky! Thanks for joining us at our challenge at UYS! Great card, so atmospheric. That caped figure creates real menace and the image and colours are gorgeous. Thanks for joining in at Crafty Boots Challenges this time.